I know that pumpkin and apples tend to reign supreme when fall rolls around, but I really think that pears should get a little more of the autumn spotlight. They become plentiful this time of the year and are begging to be made into delicious, fall inspired recipes. While doing a little cocktail research online, I came across a recipe for planter's punch and was instantly intrigued. 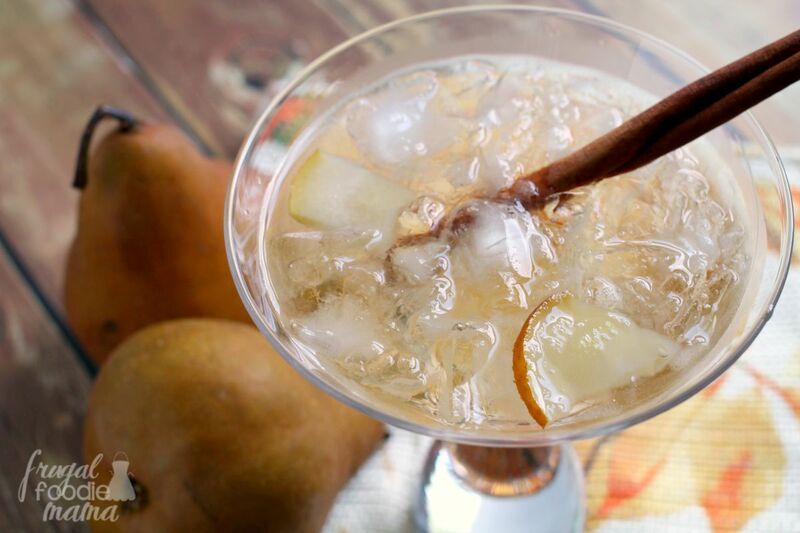 A traditional planter's punch usually is a mix of dark rum and fruit juices making it the perfect libation for summer. But I thought why not give this rum cocktail a spicy fall makeover? I infused a homemade simple syrup with fresh pear and shook that together with spiced rum and sparkling apple juice. The result? 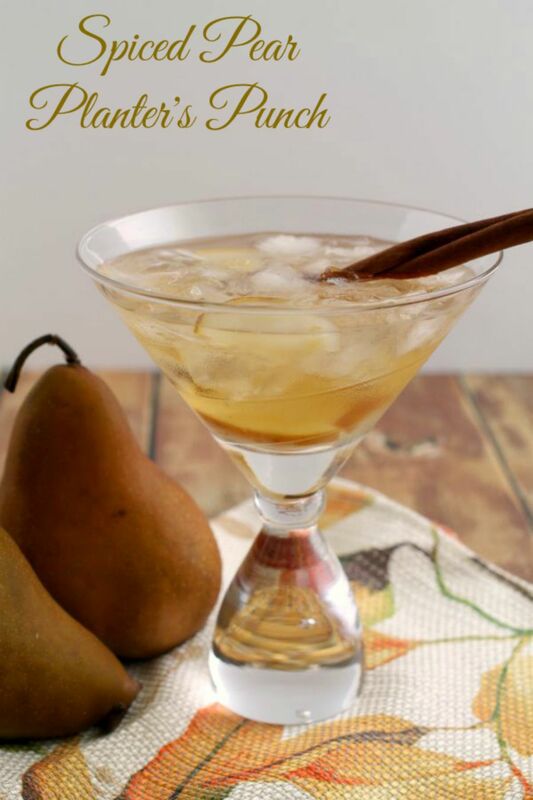 A perfect for fall cocktail that you will want to serve around a fire pit on a cool autumn night or as an adult treat with dessert after Thanksgiving dinner. And check out all of my recipe contributor posts for Real Housemoms by CLICKING HERE.